I believe the icon, logo, and user support address are all optional, but it might be a good idea to fill them out. (Of course you could point your user support address to a page on your blog rather than an email address if you prefer). On the “Web Site” you’ll need to provide the site url, which should be the url of your WordPress install. (The url users use to hit the main page of your WordPress powered site, whether that is a static front page or your blog listing page – NOT including index.php, but including a trailing slash). 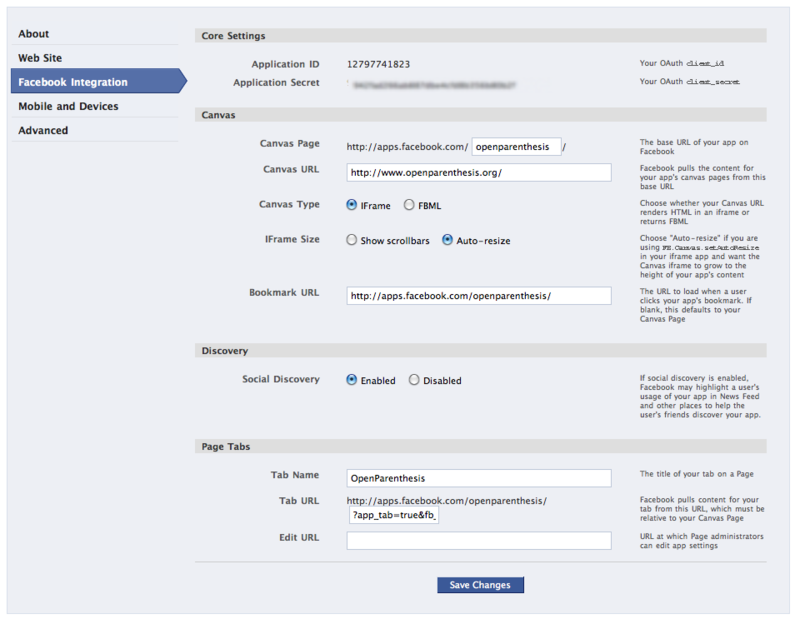 On the “Facebook Integration” tab, set the “Canvas Page” to the same page you used above – the default home page of your WordPress site outside Facebook. For canvas url, you just need something all lower case, unique, with no spaces, and no trailing slash. 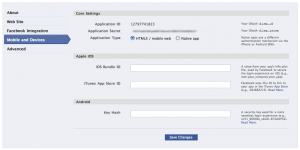 Set the application to use an iFrame, not fbml, and to “Auto-resize” NOT “Show scrollbars”. For the “Mobile and Devices” tab you should be able to accept the defaults, but make sure HTML5/Mobile Web is set NOT Native app. On the “Advanced” tab, ensure all of the “migrations” settings are set to disabled. (In particular, the migrations for “OAuth 2.0 for Canvas” and “POST for Canvas” MUST BE DISABLED for WPBook 2.0.x to work – it may be that other “migrations” can be enabled without causing problems). 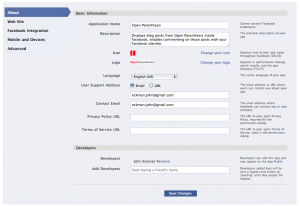 In addition to the required settings, there are many potential customizations for WPBook. These settings are in two groups “Stream/Wall Options” and “Application View Options.” The next step above will help you set up the streaming/wall options. 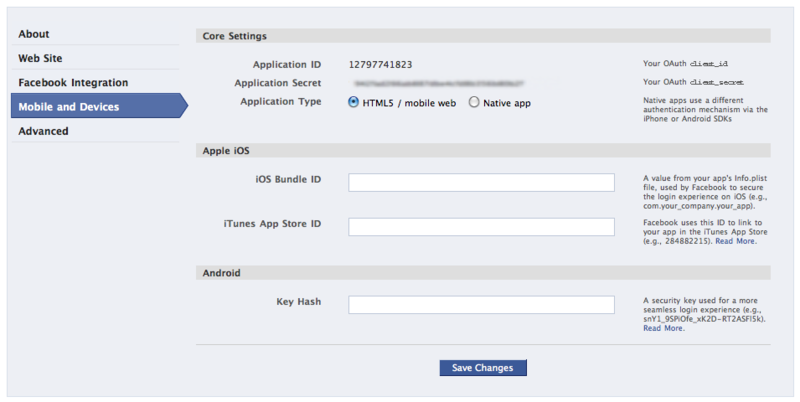 Below you will find infomation about Each Application View Option, these are the options that control how your app is seen inside of Facebook. NOTE: These are optional, and defaults should be fine for most users. 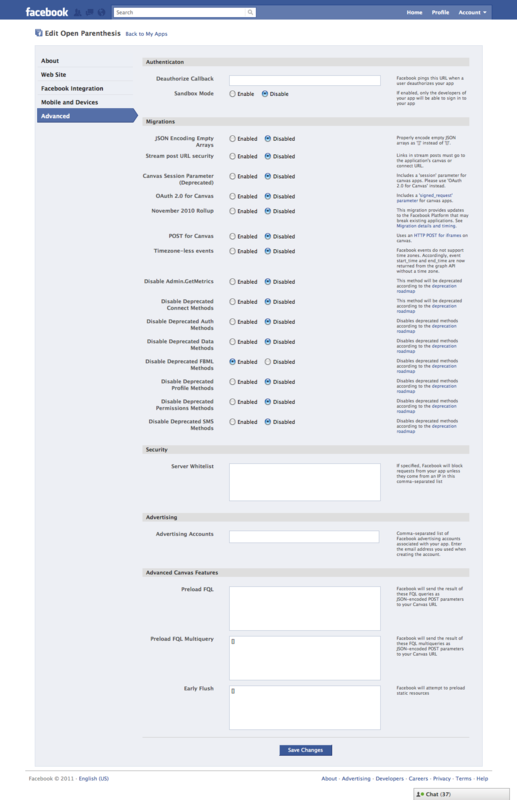 Allow comments inside Facebook: Checking this will open a panel to show additional comments settings. Unchecked, no comments form will be shown inside the FB app. Require Comment Authors E-Mail Address: WPBook will automatically pull the users name and prefill the comment form, but they are given an option to input an email address. This setting makes that email required. Note this will not change the email requirement (or lack thereof) on your usual WordPress blog pages. Links position: Show the share and view external link either above the post content or at the bottom of it, for each post. 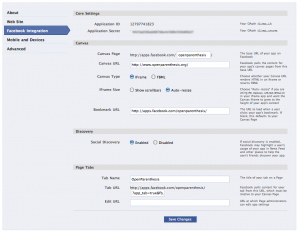 Enable pages: This will show pages inside Facebook, not just posts. Checking this also reveals other associated settings. Include post date with title: This will prepend the title of the post with the date it was posted. You can control the format of the date using the advanced options by clicking “(Click here to change date/time format)” next to this option. Give WPBook Credit: This just turns on and off the “This Facebook Application powered by the WPBook plugin for WordPress.” line at the bottom of the page in Facebook. 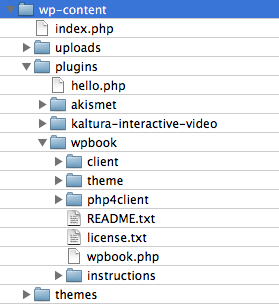 We spend a lot of time developing WPBook and this is one way to say thanks. Show a list of recent posts below content: This lists recent posts under the main content. 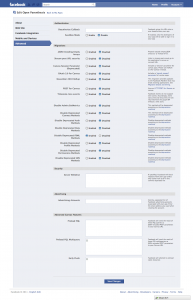 This is really useful if your main homepage doesn’t show a list of posts. This plugin allows you to embed your blog into the Facebook canvas, allows Facebook users to comment on or share your blog posts, cross-posts your blog posts to the wall of your profile, a fan page, an application profile page, or a group page, and enables you to add a tab for your fan page. It also imports comments made against wall posts which originated in WordPress. 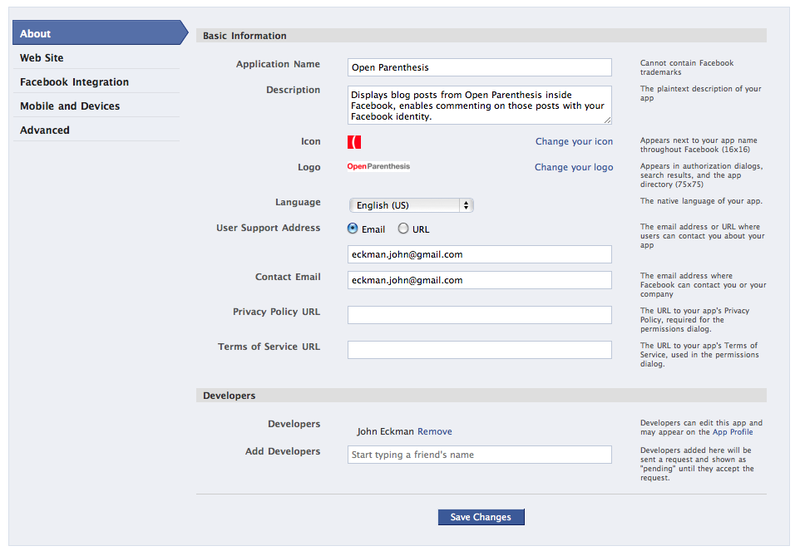 To use this plugin, you must register for an API key at Facebook. Follow the link and click “set up a new application.” After you’ve obtained the necessary info, fill in both your application’s API and Secret keys as well as your application’s url. Predefined Strings (you can use these in your attribution line): %author%, %blogname%.